Site History: The Shell Pond is a 73-acre former wastewater pond located within a 292-acre parcel owned by PG&E. 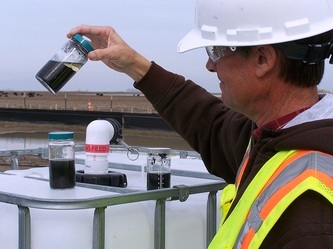 The historic effluent discharged into the pond contained carbon black, metals, and polycyclic aromatic hydrocarbons (PAHs). 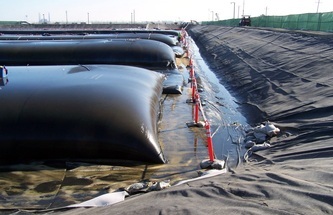 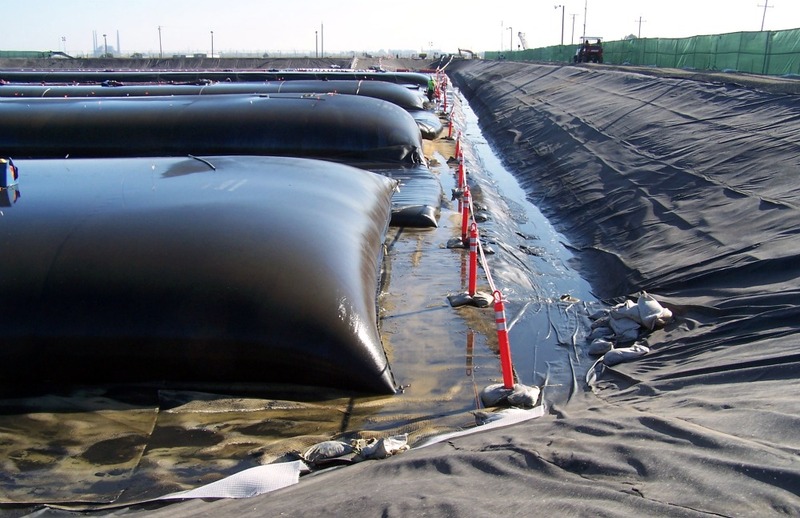 The primary contaminant of concern (CoC) is the layer of carbon black sediment left over from the historical discharges. 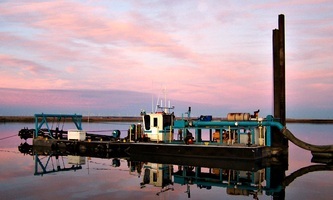 DMS initially conducted bathymetric surveys of the Pond and the adjacent sloughs, followed by 46 Vibracore samples. 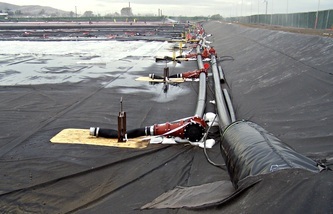 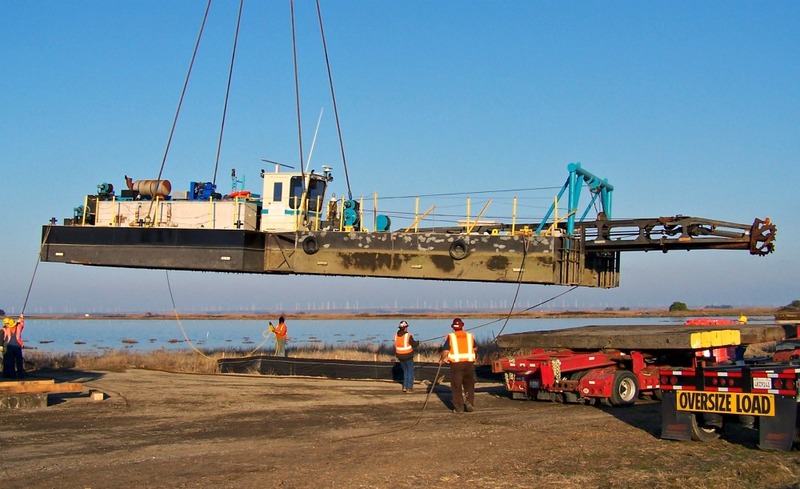 Remediation of the site required dredging of 197,000cyds the non-native material (NNM) to a Material Handling Area. A slurry water conditioning unit was used to inject a flocculating polymer into the pipeline prior to filling of the geotubes; each 75 feet in circumference and 300 feet long. 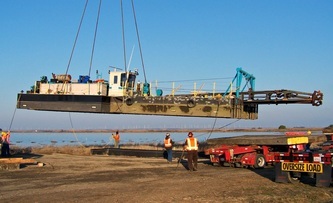 The decant water was then returned to the Pond by means of a pair of automated water pumps.